The Garda Representative Association has warned of the danger of further industrial unrest because proposed new legislation on their employment rights is inadequate - particularly as it does not give them the right to strike. Traditionally, members of An Garda Síochána did not have the right to take grievances to the Workplace Relations Commission or the Labour Court, they could not take part directly in national public service pay negotiations, and their representative bodies could not be full unions. Following the 2016 dispute where a garda strike was averted at the 11th hour following ad hoc access to the WRC and Labour Court, it was agreed that gardaí would be given formal access to those bodies. 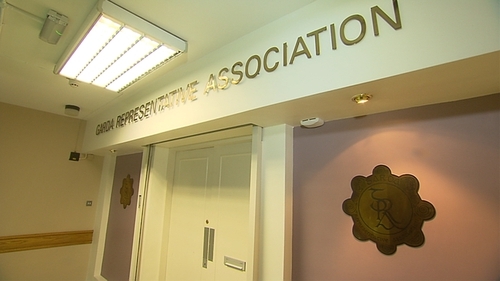 However, in a statement issued this evening, the GRA queried whether proposed legislation to give effect to this will be sufficient to allay the sense of injustice felt by its 10,000 rank-and-file members - or whether it will only partly address existing deficiencies in industrial relations legislation governing An Garda Síochána. They noted that the Industrial Relations (Amendment) Bill 2018 provides no entitlement for gardaí to engage in industrial action - adding that without such a right they will not be in the same position as other workers processing disputes at the WRC and the Labour Court, thus placing them and their representative associations at a disadvantage. They cited the Council of Europe ruling in the "Eurocop" case, which found that gardai should have a right to strike - and say that if this is not included in the bill, the Government could be in dereliction of its international obligations as a member of that body. The GRA said it recognises that any industrial action in a police force is a serious public policy matter, and had proposed a voluntary agreement to restrict any industrial action. However, the statement said: "Regrettably, there was no real engagement with that proposal and any attempt to seek a consensus solution was rejected." It described the continuing prohibition on trade union status for garda representative bodies as "regressive" and "emblematic of a past era". The Minister for Business, Enterprise and Innovation Heather Humphreys has previously said that the bill will not come into effect until robust internal garda dispute settlement procedures are in place - but the GRA has called for them to be put in place without delay, and for the alleged weaknesses in the legislation to be remedied. Their statement concluded: "If it proceeds unamended, the bill risks leaving in place a continuing sense of injustice with the attendant possibility of future industrial unrest." It cautioned that if the bill's defects are not addressed in a considered fashion, the alternative is to again risk having to confront deficiencies in an ad hoc way in the heat of some future industrial dispute - which would not be in any party's interest. A spokesperson for the Department of Business Enterprise and Innovation said the Department will issue a response as soon as possible.